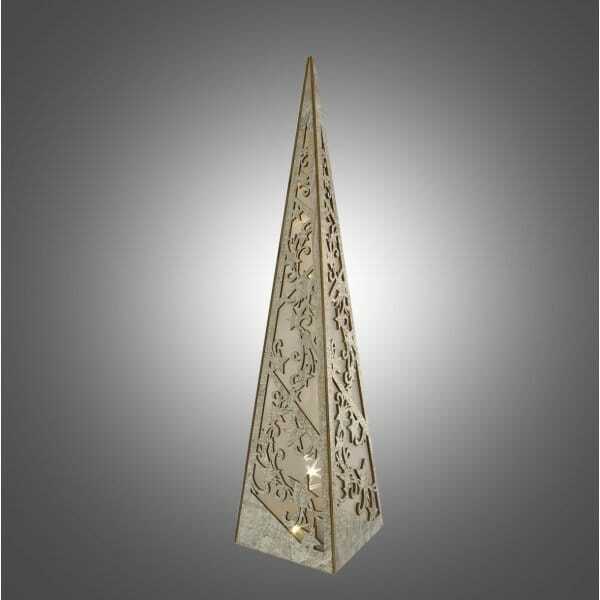 Dar Lighting large wooden pyramid with festive detail decoration. The product code for this Dar Christmas pyramid is 006X04004. Suitable for indoor use only. Requires 3 x AA batteries which are not included.